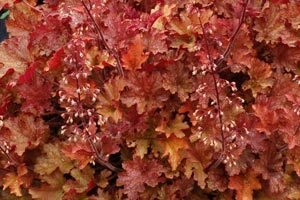 A company called Terra Nova Nurseries has made it there business to come up with the next splash and pizzazz for us gardeners. Weather you are planning a new bed or renovating an existing bed. 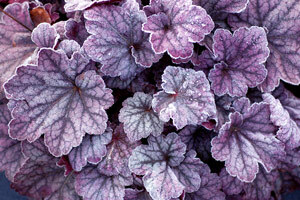 Make sure and include some of these awesome and colorful perennials. 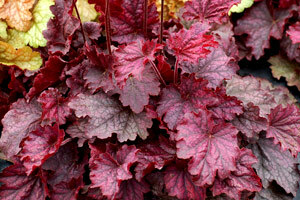 Coral Bells will take full sun to part shade and do the best in well drained soil. Make sure and add some good planting mix when you put them in and they will love you for years to come with little fuss. Each plant grows to about 2 feet across and 12 to 18 inches tall depending on the soil conditions. When you’re looking for just that certain color with out using blossom choose a Coral <?xml:namespace prefix = st1 ns = "urn:schemas-microsoft-com:office:smarttags" />Bell or 3 and 5…..and you will not be disappointed. 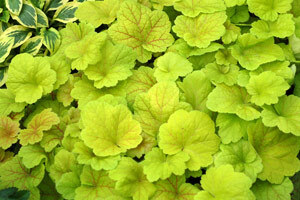 Here are just a few of Coral Bells colorful varieties.